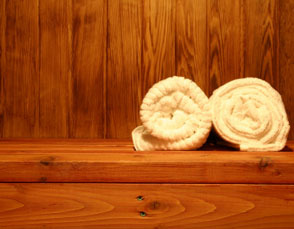 A far infrared sauna looks much like your traditional dry sauna that you may have used before. What is different is that the infrared sauna uses infrared heaters to emit infrared radiant heat which is absorbed directly into your body. Any sauna can assist health by increasing perspiration, one of our major routes of elimination and detoxification. In addition to this benefit, infrared sauna can directly impact pain, stiffness, and fatigued experienced by those suffering with chronic disease. Infrared sauna is often better tolerated by patients who do not tolerate traditional hot air saunas. Sauna may also increase the body’s metabolic rate, resulting in increased caloric burn. Because of this, it is often used to augment a diet and lifestyle regimen to assist with weight loss.